I always shake my head disappointingly when reading on makeup guides that tell you to "fill in sparse areas of your brows with hair like strokes"...yeah, my entire brow area is sparse...deal with that! My main issues with brow pencils over the years is the combination of texture and colour deposit. Most pencils are much too soft, giving off a heavy handed look despite how careful I try to be and as I have very few natural hairs to blend things out, I've suddenly gone from browless to "marker brows". 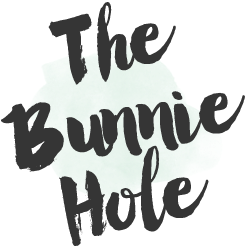 There are many aspects to love about this little beauty, in fact it's a product that has never left my daily makeup bag since I've gotten it in my hands. 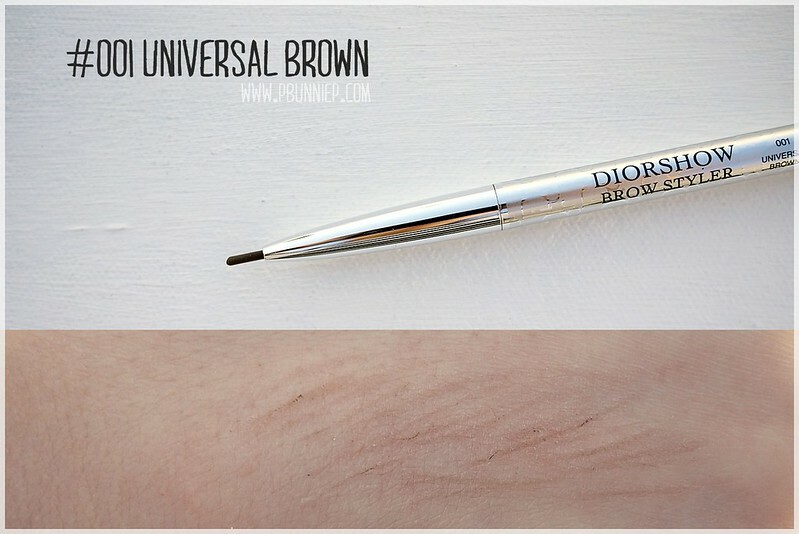 Dior calls this an "ultra-fine precision brow pencil" and I can certainly see why. Super sleek and slim, this twist up pencil has the perfect hardness to fill in small spots or draw on your entire eyebrow with impeccable results. Compared to other similar products (including a few high end ones might I add), DIOR's version swatched rather umimpressively on my hand. As you can see, it's a rather hard product that seems to deposit barely anything on the skin yet I think that is the magic of it all. When using it in your brows, you have great control over how much or how little you want to put on, incredibly buildable while still remaining natural. 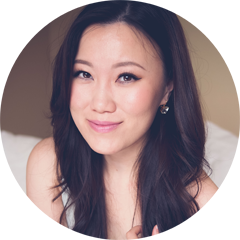 I like using the back end spoolie to blend away and soften the front of my brows for a better gradated look and because the pencil is so fine, I can achieve that perfect tip at the end which I love. On a side note, due to its fine point it will take some patience to fill in your brows stroke by stroke but for those who really desire that sharp look, it is within your reach. Now for those hot summer days, this also appeared to be highly water resistant, I wore this all day all night in the heat of the Californian summer and it barely made a move. Altogether very impressive! 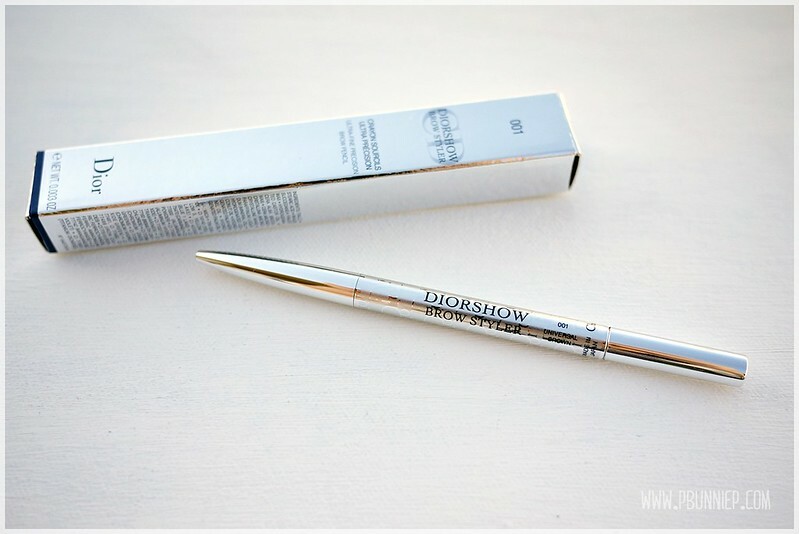 This brow pencil is currently only available in one Universal Brown shade and for someone like me who, despite having dark hair, likes my brows to be a few shades lighter it is a workable colour match. A tiny tinge darker would have been my current preference but I could wear this perfectly when I had brown highlights in my hair. However I do think that this particular colour blend, which learns more ash than red, would be a suitable shade for a large range of haircolours. For anyone who may feel this is too light, I suggest starting with a darker brown shadow and then perfecting your angles with this, blending both colours together. 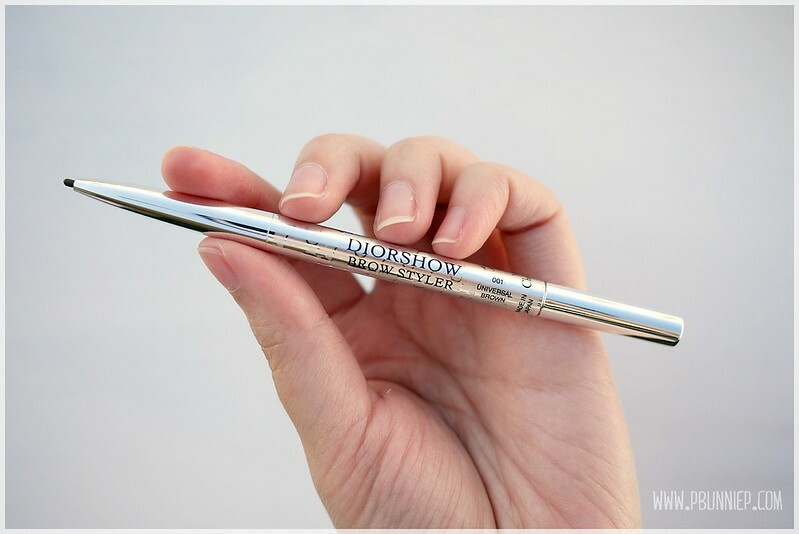 Without a doubt this Browstyler by DIOR is something I would gladly repurchase once I run out. It's not the easiest on the wallet but the results and performance speak for themselves and I've never been quite so in love with a brow pencil. 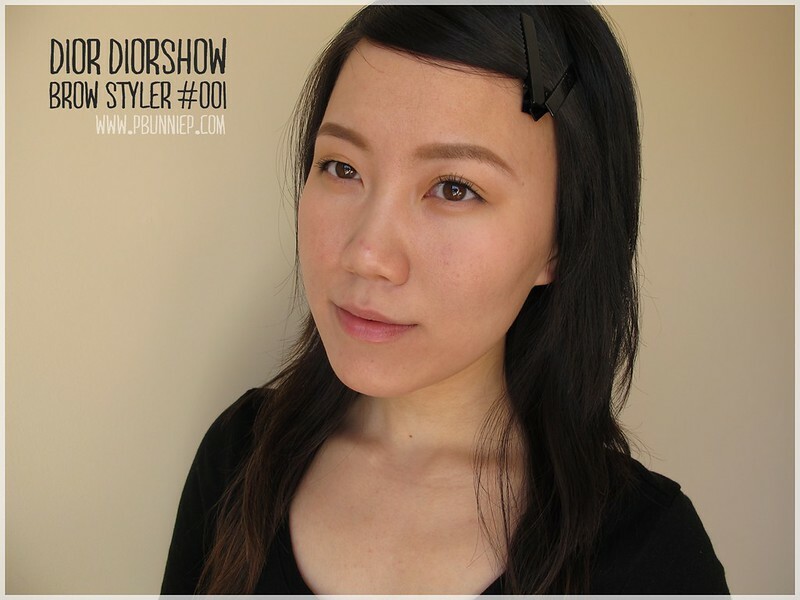 So take note, bare browed beauties, if you're still on the hunt then tread your way over to a DIOR counter and test this out. Talc, stearic acid, rhu succedanea fruit wax, hydrogenated castor oil, cera alba (beeswax), cera micro-crystallina, paraffinum liquidum, hydrogenated coconut oil, hydrogenated palm kernel oil, hydrogenated palm oil.